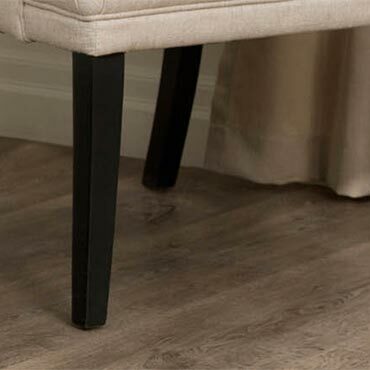 Our floors look more like real hardwood with fewer repeating planks and a soft matt finish, eliminating the “plastic” look of traditional vinyl floors. Adura® Max is available in today’s most popular decors and features our innovative HydroLoc™ waterproof core—making it the perfect choice for your most challenging rooms. Luxe Plank, an innovative, *waterproof flooring, brings the natural beauty of hardwood and stone to any room in your home - even bathrooms and basements. From pool water to pet urine, and kitchen messes to bathroom overflows—these floors can take it! Mohawk SolidTech is a new generation of vinyl plank flooring that combines the strength and rich visual of hardwood with the fashion, durability, and cleanability of a luxury vinyl tile or plank. Forbo’s Allura luxury vinyl tiles collection offers you the esthetics of realistic, natural wood and stone floors whilst giving you the advantages of strong and durable vinyl: warm underfoot, sound absorbing, tough & durable, with easy installation & maintenance. At Shaw, luxury vinyl flooring—which we often call resilient—is our forte. So we’re calling our latest collection Floorte ™.